I love nothing more than accessorizing a basic outfit with a big comfy statement scarf. When the temperature drops even the slightest, I am pulling out my scarf collection and getting ready to rock my signature neck warmers. Plain, patterned, flannel, blanket, wrap this way, wrap that way, so many options and that is why I love scarves! There are so many different outfit combinations that can be created with one single scarf. Versatility is key when it comes to items I purchase so when we got in our new shipment of scarves it took everything inside of me not to buy them all for myself! Here is a recreation of the outfits above with some of our items! 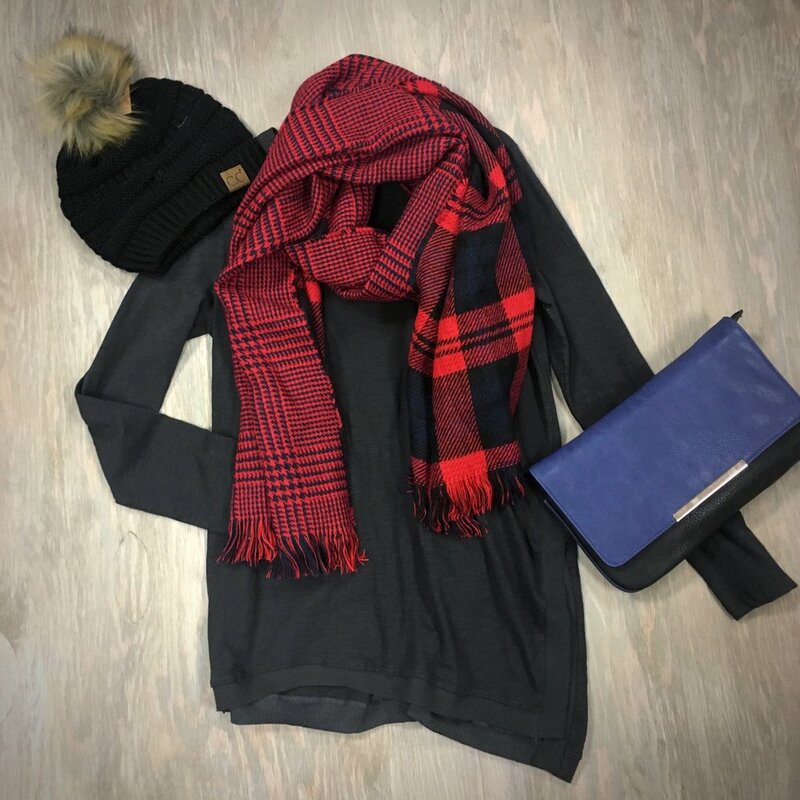 Stop in to check out our new scarves for yourself and be inspired to put together your own chunky scarf outfit!